Photo courtesy of Alexandra Stillman Arcata City Councilwoman Alexandra Stillman. 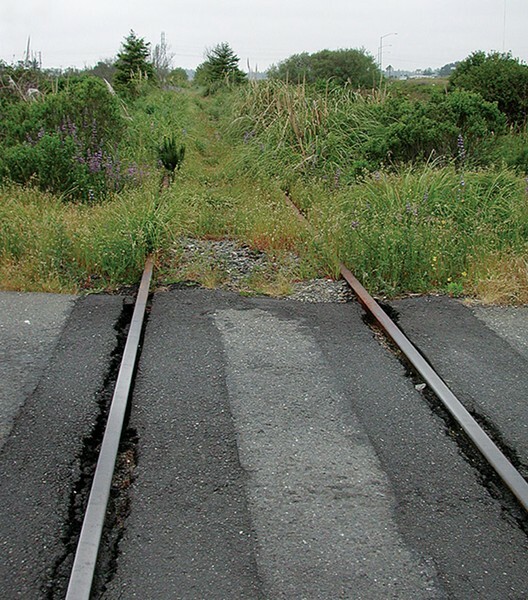 photo by Bob Doran Eureka's disused tracks. 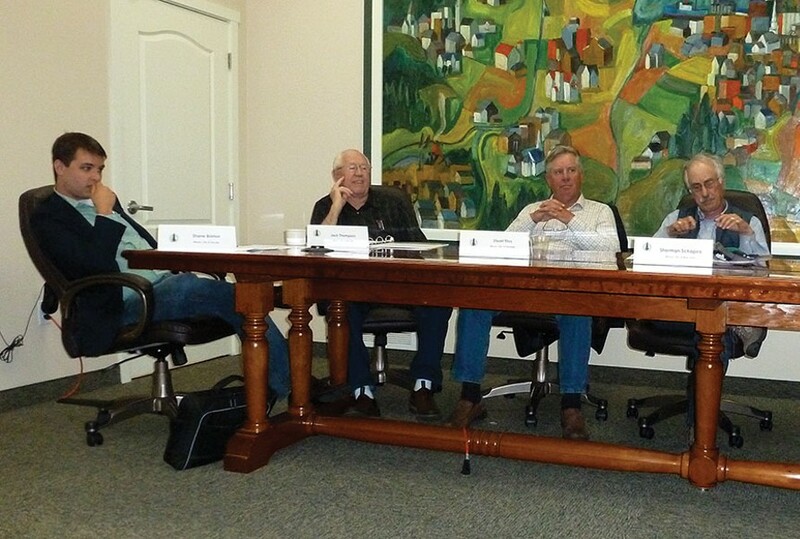 photo by ryan burns At the Mayors City Selection Committee meeting (from left): Arcata Mayor Shane Brinton, Rio Dell Mayor Jack Thompson, Ferndale Mayor Stuart Titus, Blue Lake Mayor Sherman Schapiro. photo by ryan burns At the Mayors City Selection Committee meeting (from left): Fortuna Mayor Doug Strehl, Trinidad Mayor Julie Fulkerson, Eureka City Councilman/Mayor Pro-Tem Mike Newman, Humboldt County Association of Governments Executive Director Marcella Clem, HCAOG Associate Planner Debra Dees and legal counsel Dave Tranberg. Photo by Ryan Burns Eureka City Councilman Mike Newman, serving as mayor pro-tem, voted to rescind Alex Stillman's appointment and replace her with Fortuna Mayor Doug Strehl. 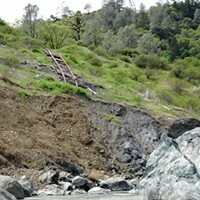 photo by rick sanchez Severe landslides and erosion have left the railroad through the Eel River Canyon in shambles. Last week, in a meeting filled with passionate arguments, surprise twists and dark insinuations, Arcata City Councilmember Alexandra Stillman had her appointment to the North Coast Railroad Authority rescinded by the same committee that appointed her in May. And after some confusion, a vote, more confusion and two re-votes, she was replaced on the NCRA board by Fortuna Mayor Doug Strehl. The meeting was sparsely attended, the committee obscure, and the appointment relatively minor in terms of political power. But the showdown revealed a lot about how hopes for a railroad are influencing Humboldt County politics. It was a battle between two competing visions for our region's future — one that sees the return of freight trains leading us to economic salvation and another that considers that prospect mere fantasy, a pipe dream distracting us from achievable goals. The meeting also revealed the power dynamics at play in Eureka, where pressure gets applied behind closed doors and team allegiance trumps independent thought. The result of last week's meeting was a "win" — albeit a messy one — for die-hard rail boosters, who viewed Stillman's support of environmental causes and rails with trails as a deviation from scripture. Her May appointment to the NCRA board had been challenged by Eureka attorney Bill Bertain, who argued that it was invalid because of a procedural technicality. Established by the state legislature in 1989, the NCRA is governed by a nine-person board representing Humboldt, Mendocino, Sonoma and Marin counties. It manages a railroad right-of-way that runs from the southeastern end of Sonoma County down to Novato and then north to Humboldt Bay. The agency's mission is to "maintain" rail service. Most of the line has been inactive and decomposing for 15 years, though freight service recently resumed in Marin and Sonoma counties. 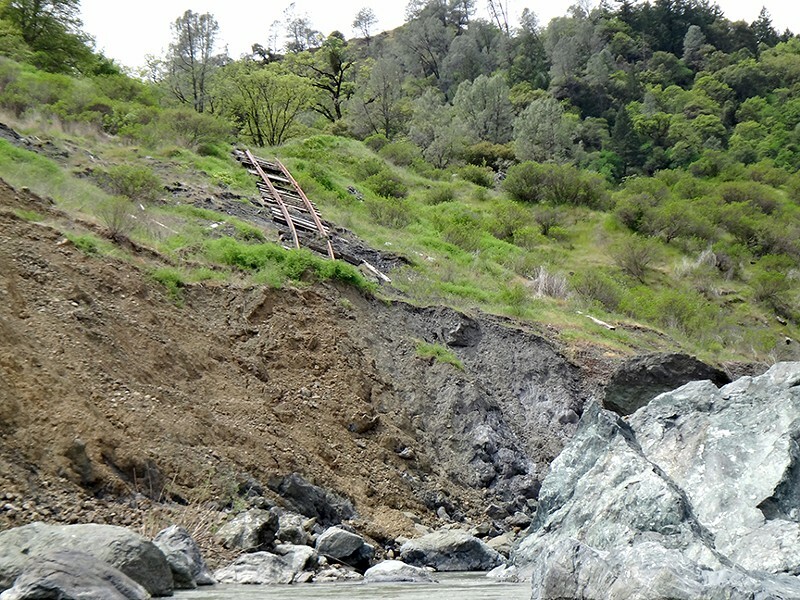 Here in Humboldt County, the NCRA has repeatedly nixed trail and environmental projects along the route on the theory that the line should be preserved for the return of trains — despite the fact that there are no plans to reopen the line. 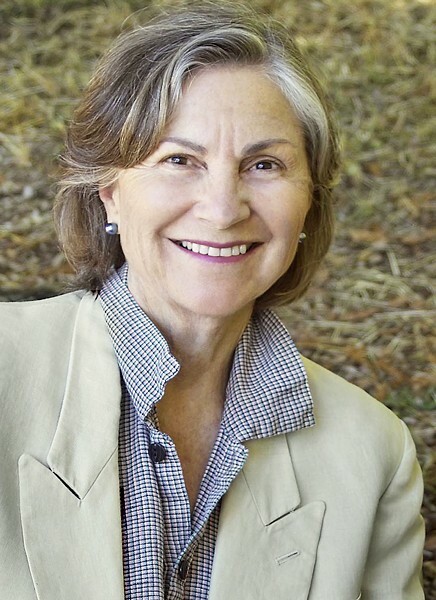 In the two meetings Stillman attended as an NCRA board member she helped clear the way for a fish restoration project on Woodman Creek, a tributary of the Eel River. Last Tuesday's showdown happened at a meeting of the Mayor's City Selection Committee, which comprises the mayors of the county's seven incorporated cities. In one of the afternoon's many twists, Eureka City Councilmember Mike Newman was sitting in for Mayor Frank Jager. That's significant because back on May 16, Jager voted with the 4-2 majority to appoint Stillman. Newman and others on the City Council wanted to switch Eureka's allegiance and vote for Strehl, which would put Ferndale Mayor Stuart Titus, who missed the May meeting, in the role of tie-breaker. The vote came as a new study predicts a $600 million price tag for restoring the north-south route to Humboldt Bay, and a cost in excess of $1 billion to build a new line heading east. The early stages of the meeting were occupied with more-or-less friendly debate about whether the matter even warranted reconsideration. Was the procedural snafu that Bertain alleged legitimate? Dave Tranberg, legal counsel for the Humboldt County Association of Governments, said that Stillman's appointment was probably legal, but it couldn't hurt to go back and re-do the vote, just so any aggrieved parties (such as Bertain) had no legal ground to stand on. After some debate, Stillman's appointment was rescinded, despite "no" votes from Arcata Mayor Shane Brinton, Blue Lake Mayor Sherman Schapiro and Trinidad Mayor Julie Fulkerson. The stage was set for an anticipated 3-3 tie and a Titus tie breaker. But Titus had a surprise planned: After some diplomatic throat-clearing, he nominated himself for the vacant position, arguing that he'd been doing a lot of research on rail authority issues recently and could be considered a middle-ground candidate. The room was stunned. Fulkerson, with mock delight, turned to Newman and said, "C'mon, jump in!" as if encouraging him to join the growing list of candidates. She smiled. "This is a great twist." With three candidates now on the floor, the public weighed in — mostly government-meeting regulars voicing support for either Stillman ("strong leader," "open minded," "trails") or Strehl ("jobs," "rail first," "jobs"). More than an hour into the meeting, the mayors themselves argued their positions, with none arguing more forcefully than Fulkerson. She expressed appreciation for Stillman's political achievements over the years and suggested that her appointment was being jeopardized by back-room politics. "We have a viable, strong candidate on the board who's already attended two [NCRA] meetings," Fulkerson said. "And what the heck does it look like that we're having this hour-long discussion and changing our minds? For what reason? 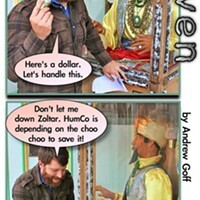 Something I was not privy to. Something that went on behind closed doors." "I just think we need to stick with our decision," she continued, "and hopefully move this forward without too many people hearing about it, because it's embarrassing, frankly." When it came time to vote, Fulkerson, Brinton and Schapiro backed Stillman. Newman, Rio Dell Mayor Jack Thompson and Strehl himself picked Strehl. And Titus voted for Titus. 3-3-1. Confusion ensued. What was the procedure in case of a tie? A majority of the board was needed to make an appointment, it was agreed. And if the committee failed to do so at this meeting, it would probably lose its chance: Appointing rights would fall to Mendocino County. Schapiro asked Titus if he'd withdraw his candidacy; Titus refused. Fulkerson called on Newman to "honor the spirit" of Jager and switch his vote to Stillman; Newman refused. The committee voted again — with the same result: 3-3-1. Finally, Tranberg, the committee's legal counsel, found a section in the bylaws to move things along. Elections with multiple candidates are to proceed through a process of elimination, meaning the candidate with the fewest votes — Titus, in this case — gets eliminated. The committee voted again. And this time Titus, no longer allowed to vote for himself, cast his vote for Strehl. Was Tuesday's meeting even necessary? The Mayors City Selection Committee had already appointed a representative to the NCRA board, choosing Stillman over Strehl at its May 16 meeting by a vote of 4-2. But the choice rankled local train enthusiasts — including at least three members of the Eureka City Council along with Bill Bertain, a Eureka attorney who's been stumping for the east-west rail for more than two decades. In Bertain's May 30 letter to the committee, he argued that Stillman should be disqualified not only because of a procedural technicality in her appointment but also because of her past public remarks. "I believe she has consistently and vocally opposed the return of freight service to Humboldt County," Bertain wrote, without citing any examples. Stillman told the Journal last week that she's not opposed to freight; rather she's a "skeptic" and a "realist" who's doubtful that rail will prove financially feasible anytime in the foreseeable future. The day after our conversation, a draft report found its way online, and its results validate her skepticism. (See sidebar.) 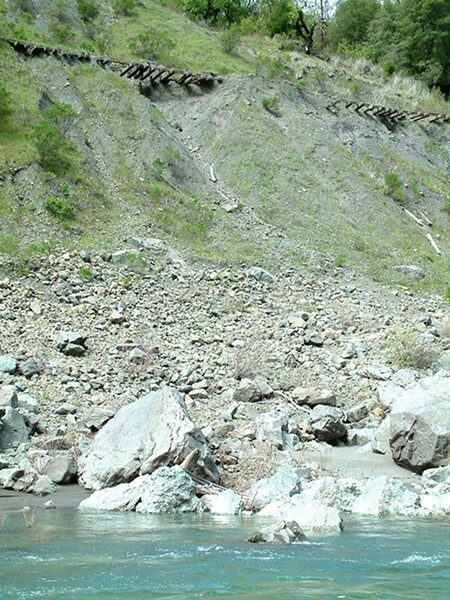 Commissioned by the Humboldt Bay Harbor, Recreation and Conservation District, the report estimates the cost of building a new rail line over the steep and crumbly mountains to our east at more than a billion dollars, not counting environmental mitigations. Restoring the rail along the existing north-south right-of-way — the route that's under the purview of the NCRA — would cost more than $600 million, the report found. In order to pay for the construction and upkeep of the line, Humboldt Bay would have to be transformed into one of the busiest ports on the West Coast, an unlikely prospect given a bevy of competitive disadvantages, according to the report. Regardless, Stillman's skepticism wasn't the reason the committee rescinded her appointment — or it wasn't the stated reason, anyway. The stated reason had to do with a very peculiar rule buried in the committee's bylaws. Bertain's letter called attention to this obscure edict, which states that if a candidate wants to submit a letter expressing his or her intention to seek an appointment, he or she must submit it at least three weeks before the meeting where the appointment gets made. Three weeks is an unusually long lead time for such a provision. By comparison, the Ralph M. Brown Act, California's open-meetings law, requires only 72 hours' notice for public meetings. Even more confounding is this: Because such letters of intention aren't required of candidates, the rule sets up an entirely unnecessary hurdle. Any viable candidate who wants the appointment can simply show up at the meeting and throw his or her name in the hat (exactly as Titus did last Tuesday). Blue Lake Mayor Sherman Schapiro appeared dumbfounded by the logic of this rule at last week's meeting. "So if neither person submitted any paperwork and just showed up that day we could have voted for them, no problem. Is that true?" Staff confirmed that it was indeed true. "So they made the mistake of turning in paperwork," Schapiro mused ruefully. Perhaps it was coincidence that Strehl supporters were the only ones who took a stand on principle and insisted the committee follow the letter of this particular law. But to a man (and they were all men), that's the way they lined up, arguing that Stillman's appointment must be rescinded. Tranberg, the committee's legal counsel, theorized that the do-over might be unnecessary, that a judge might find they'd substantively complied with the law. But why risk it, he argued. Best to avoid a lawsuit wherever possible. Bertain's objection, as he acknowledged in his letter, would have applied to either candidate, Strehl or Stillman, since both submitted letters of interest less than three weeks before the meeting. Would Bertain and other rail enthusiasts have dragged out the rulebook and waived it around if the initial vote had gone their way? That, too, is an unanswered question. As the committee's name states, it's supposed to be comprised of mayors, each representing his or her respective city. 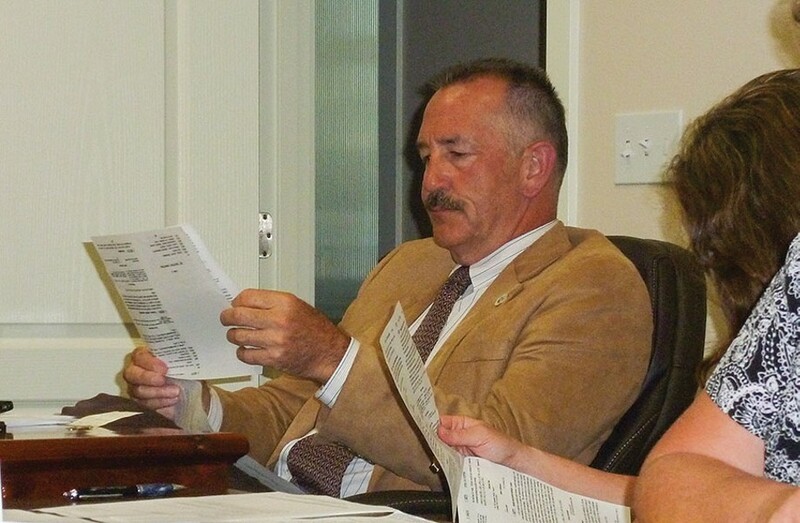 Why did Eureka Mayor Frank Jager send City Councilmember Mike Newman in his stead? The Journal has been unable to reach Jager since the meeting to ask him. Councilmember Marian Brady said on Friday that Jager was gone on a weeklong Eagle Scout event. But Brady's fellow councilmember Lance Madsen confirmed that Jager was still in town last Tuesday, the day of the committee meeting. A closed-session meeting of the Eureka City Council started later that evening, and Newman was a few minutes late because of the drama-filled meeting of the Mayors City Selection Committee. When Newman showed up at City Hall shortly after 5, Jager was there with the rest of the council, wondering what had kept him, according to Madsen. We asked Newman why Jager couldn't make the committee meeting, and Newman said he wasn't certain. What reason did Jager give Newman? "He just wasn't able to make it," Newman said. It's clear that Jager got an earful back in May after he voted for Stillman. "None of us knew what Frank was going to do," Brady said. She, Newman and Madsen all told the Journal that they expressed their displeasure to Jager in separate conversations. "I spoke with Frank and said, 'Why did this happen?'" recalled Madsen, who, in addition to sitting on the City Council, is president of the Land Bridge Alliance, a private corporation promoting the east-west rail. Only Second Ward representative Linda Atkins has sounded any notes of caution, saying that while she supports the idea of an east-west rail line, she doesn't believe public money should be spent studying it. For all of the council's vocal support for a new railroad, it never discussed the Mayors City Selection Committee appointment to the North Coast Railroad Authority — not publicly anyway. The matter was listed on the council's June 18 agenda but got pulled at the last minute. Both Newman and Madsen told the Journal that they don't know who pulled it or why. Brady said she didn't remember the item being pulled at all but guessed that Jager was responsible. On Monday, City Manager Bill Panos confirmed that Jager had pulled it from the agenda. Atkins blamed "political pressure." 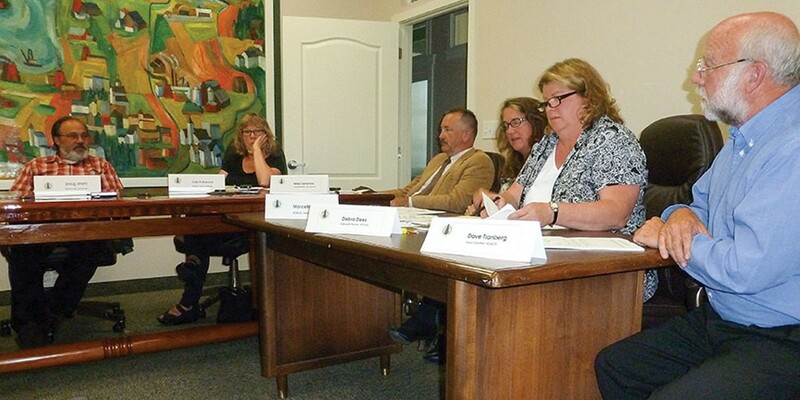 At any rate, the topic never came up at that or any other meeting of the Eureka City Council. "Our council was in discussion, and we were behind the appointment of Doug Strehl, so I'd like to make a motion to elect Doug Strehl to this committee. That's the main reason — I know Frank wasn't able to be here today. He had some other things he had to do, so I'm stepping in here for that. But in discussion with the rest of the council — the Eureka City Council — we are in support of Doug." Newman added that Titus would also be an adequate alternative. "Had we known about that [his candidacy] there might have been more discussion there. But we're more in support of rails first versus trails. We're in support of rails and trails, but rails first when you're looking at things. So that's why the majority of the council was in agreement with, um, having Doug." Among its many provisions, the Brown Act states that "a majority of the members of a legislative body" shall not "use a series of communications of any kind, directly or through intermediaries, to discuss, deliberate, or take action on any item of business" except at a public meeting. When Newman's fellow councilmember Linda Atkins heard about what Newman said, she grew suspicious that the rest of the council had discussed the issue without her, and without public knowledge. She told the Journal that she, for one, hadn't talked about it with any of her fellow councilmembers. "If he said there was a majority of the council who approved of what he did, they must have violated the Brown Act," she said. The Journal called Newman at work two days after the meeting to ask when "the majority of the council" had discussed the matter. Sounding flustered, he said, "We hadn't discussed it publicly. It was just discussed with Frank, the request for who was wanted. ... When it was announced that [Alex's appointment] happened, the majority told Frank that they didn't like that." According to Newman, Jager said he'd spoken to each councilmember individually. When reminded of the Brown Act's prohibition of such communications Newman backtracked, saying that Jager did not tell him he'd spoken with the rest of the council. "No. He didn't tell me that. ... He had just said that he would rather have — I'm guessing that," Newman said. "I'm surmising and I'm putting words in his mouth." The fact of the matter, Newman insisted, was that Jager simply "had a change of opinion." A couple hours after our conversation, Newman sent an email in hopes of clarifying. It said, in part, "At the Selection Committee meeting, I misspoke when I stated that the Council had discussed the item. The Council was going to discuss the item to give direction but did not. I acted on behalf of the Mayor as Mayor Pro-Tem and voted in the way that I believe and based on a past vote of the Council where the decision had been made to support trails with rails and the East/West Rail." Who should Newman have represented? Even if Newman was right that the majority of the council preferred Strehl to Stillman, would it matter? In Eureka, the office of mayor is elected independently, meaning that, unlike most other cities in the county, the mayor is not part of the city council. The Mayors City Selection Committee rules say that if a mayor can't attend a meeting then a councilmember should attend and vote as the mayor's representative. The rules don't offer any direction about whether the mayors' job is to represent the will of their constituents or of their councils. Newman and Brady believe the latter is more appropriate. Brady referred to Jager as "a delegate" who was "supposed to speak for the council." When reminded that Jager was elected separately, Brady said she didn't know what the rules of the Mayors City Selection Committee said, but it doesn't seem right that a mayor "can just go tearing off on his own and do whatever he feels like." She allowed that it's possible that mayors are entitled to act independently on the committee. "I don't know," she said. "If that's the case then I really wouldn't like that Mayors Select Committee." Fellow councilmember Atkins had a different take. "We elect a mayor to have independent thinking and do what's best for the community, and I think that's why a lot of people voted for Frank," she said. He and I disagree on a lot of political stuff, but he has some — what would you call it — integrity." Abdicating his spot to Newman, she suggested, was not an example of that integrity. The message of rail believers is simple and seductive: An active and developed port, combined with a railroad connecting Humboldt Bay to the national rail system, would revitalize the local economy, spurring industry and job growth to levels not seen since the heyday of the timber and fishing industries. With Humboldt County's median income well below the state average, this bustling and lucrative future is a tantalizing vision, so it's understandable that people who doubt its prospects might seem like enemies of progress. At last week's meeting, each candidate was given an opportunity to make his or her case, and the differences were stark. Strehl, who has owned a Fortuna shoe store for 30 years, expressed a strong desire to be appointed to the NCRA board. He explained that shoes from China sometimes get shipped to other West Coast ports and then east to New York before getting transported all the way back across the country to his store. And Strehl expressed his reverence for the history of trains in Humboldt County and his sincere faith in their future. "This county was founded originally for the purpose of moving freight," he claimed. As the country continues to recover from the recession, he said, Humboldt County must have something "to fire back up." He cited just one option: "I believe that the railroad is going to be the lifeblood of this county." Titus said simply that he understands and appreciates what the railroad has meant to Humboldt County and promised he'd bring a reasoned approach and listen to all comments. Of the three candidates, only Stillman addressed specifics about the current status of the rail corridor and the NCRA. The agency, she said, is almost completely broke. With just $7,000 in its bank accounts last week, staff didn't even have enough money to pay itself, she explained. The only way to keep it solvent, she argued, is to focus on the southern end of the line down in Marin and Sonoma counties, where trains are already running. In the meantime the agency should be taking advantage of grant money available to nonprofits that want to restore damaged fish habitat along the rail corridor, and it should start selling off surplus property along the right-of-way. And here in Humboldt County, she said, we should be trying to build trails while keeping the right-of-way intact for future rail use. Asked why he ultimately chose Strehl over Stillman, Titus said, "I have no comment." Asked the same question, Newman's response was characteristically simple: "Because rail's first."